Tennessee’s Matt Hasselbeck knows only too well how quickly a starting job can be lost. He is the player the Titans tried to replace with Peyton Manning in March. Hasselbeck also likes to compete. Good thing since the Titans kicked their quarterback battle into a new gear with their first on-field training activities this week. The Titans are letting Hasselbeck and Jake Locker, the eighth pick overall in 2011, compete to be the starting quarterback this season. The veteran got the ball first in team drills this week, and Hasselbeck said he’s approaching this year as he does every year. Coach Mike Munchak said Friday that Hasselbeck and Locker will split snaps 50-50 while both will work with as many players as possible, and the Titans are even splitting up the days when each quarterback speaks to reporters. Hasselbeck spoke Friday, and Locker is scheduled to talk Wednesday after the team’s next open session. 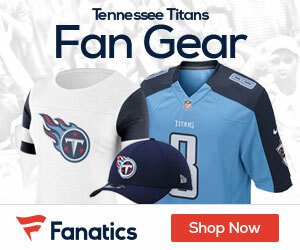 And Munchak hopes to know which man he wants as his starter by the Titans’ third preseason game Aug. 23 against Arizona in Nashville. It would be easy enough for Hasselbeck to take the attitude that this is his job after the season he had in 2011 for Tennessee. Signed just before the start of training camp due to the NFL lockout, Hasselbeck started all 16 games for the first time since 2007 when he was in Seattle, and he threw for 3,571 yards with 18 touchdowns and 14 interceptions with a passer rating of 82.4. His yards passing ranked fourth-best in franchise history. He did it after losing his top receiver in the third game when Kenny Britt tore his right ACL and MCL and with Chris Johnson turning in his worst season of his career after missing almost all of the preseason in a holdout for a new contract. That’s not how Hasselbeck acts. He remembers only too well being cut by the Green Bay Packers as a rookie and spending time on a practice squad.